We welcome the Supreme Court’s decision on behalf of our expat clients participating in the Article 50 Brexit challenge. Expat members of the pan-European organisation, Fair Deal for Expats, made the case for the 2 million British nationals who live in other EU countries. 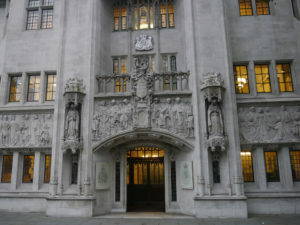 They were interveners in the Article 50 challenge in both the High Court and subsequently the Supreme Court. We welcome the Supreme Court’s decision on behalf of our expat clients participating in the Article 50 Brexit challenge. Expat members of the pan-European organisation, Fair Deal for Expats, made the case for the 2 million British nationals who live in other EU countries. They were interveners in the Article 50 challenge in both the High Court and subsequently the Supreme Court. “Our expat clients are absolutely delighted with the Supreme Court’s decision and very grateful to the Court for setting out the constitutional steps which need to be taken before Article 50 can be triggered. They now look to Parliament to ensure that the concerns of British expats are heard and considered properly during this process. 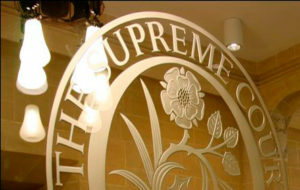 For a copy of the Judgment, as well as transcripts from the hearings and the parties’ submissions, see the Supreme Court website here. Fair Deal for Expats is an association registered in France. Its current members include UK citizens residing in Austria, Belgium, Bulgaria, Cyprus, Czech Republic, Denmark, France, Germany, Greece, Hungary, Ireland, Italy, Luxembourg, Netherlands, Poland, Portugal, Slovakia, Spain and Switzerland.